Our headquarters will get a significant upgrade coming late 2019. It is time to move closer to the beautiful city center of Kraków! Today we are revealing plans of moving to the High5ive complex, located on Pawia street (next to Galeria Krakowska and the main station). Our plan is to take two top floors (7 & 8) of the fourth building (still under construction), with an impressive number of 2600 square meters. Our plan is to move in December 2019. This is the place where Schibsted Tech Polska really wants to be. The main reason for our relocation is the excellent location of the High5ive complex. The proximity of the city center and it being well-served by road and public transportation will be another advantage when recruiting the best people. 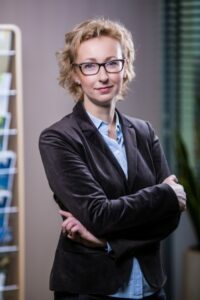 Moving will be an important stage for Schibsted Tech Polska, because of the ever closer cooperation with Scandinavia, in the form of long-term investment in a modern, well-situated location, which offers a comfortable working environment for employees – says Katarzyna Kowalczyk, Country Manager at Schibsted Tech Polska. 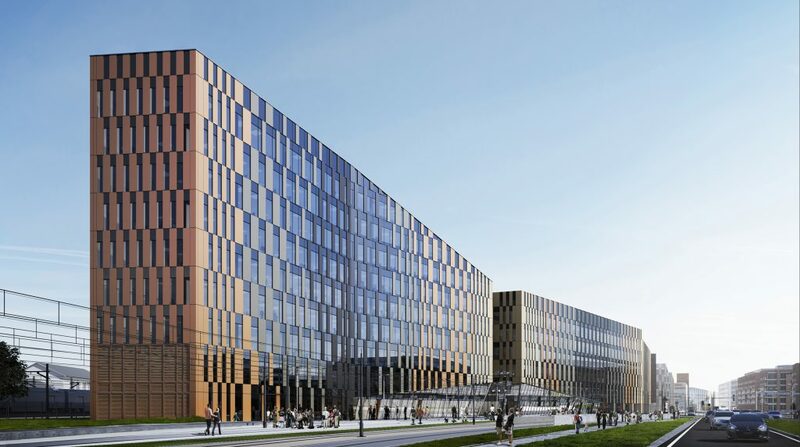 Being at the heart of the public transportation system in Kraków means that we will heavily promote coming to work via bus, train or bicycle (one of the parking floors is going to be designed just for cyclists). On top of that, we can also expect an additional layer of air and water filtering, plus an innovative cooling system. – says Monika Tkacz, leasing manager of Skanska Property Poland. Our plan is to rent two of the top floors, with 2600 square meters. That’s a clear sign that Schibsted has a secured future in Poland, with a room for expansion target the best software engineers – those that are driven by passion, eagerness to learn combined with sharing culture mindset. Since moving to the current office (in BGZ BNP Paribas building) we’ve managed to create a well-designed space full of life and creativity. Now we are standing ahead of a huge chance to plan all the details regarding practicality and design of the new space. You will have a chance to see the results of it as our doors remain open thanks to a number of planned Tech Talks (our meetup format) as well as activities like Open Day for students. “I think I am not exaggerating by saying that most people are really looking forward to moving to a new office. Schibsted has never had a bad one, but both the location and the arrangement of the new office are certainly much more attractive than the current ones. We will have more social spaces, quiet zones both for relax and working, conference rooms and phone booths which will upgrade our office standards even more. Central location and great communication (bicycle paths, trains, trams) and a large number of interesting lunch spots are not to be underestimated. I personally have been charmed by Scandinavian references in the interior arrangement (according to moodboard) and the location on two of the top floors with the glass ceiling – the views and the space look quite promising. If you would like to join us on the journey of bringing HQ to the whole different level, check our job positions in Kraków.